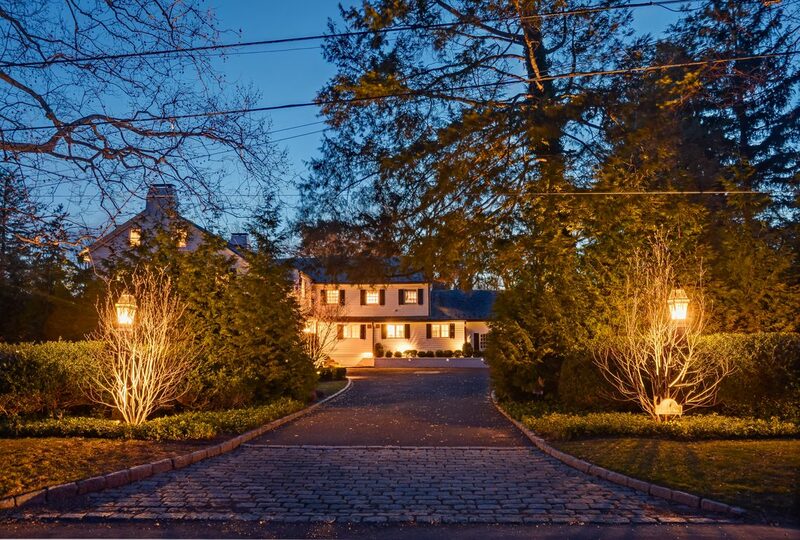 Spectacular Colonial renovated to perfection with smart home features, a grand entrance hall, rooms of generous proportions for entertaining, and a stunning new gourmet eat-in kitchen with top of the line appliances, radiant heated floor and a gas fireplace (new in 2018). The new mud room with custom cubbies and radiant heated floor leads to attached 2-car garage. 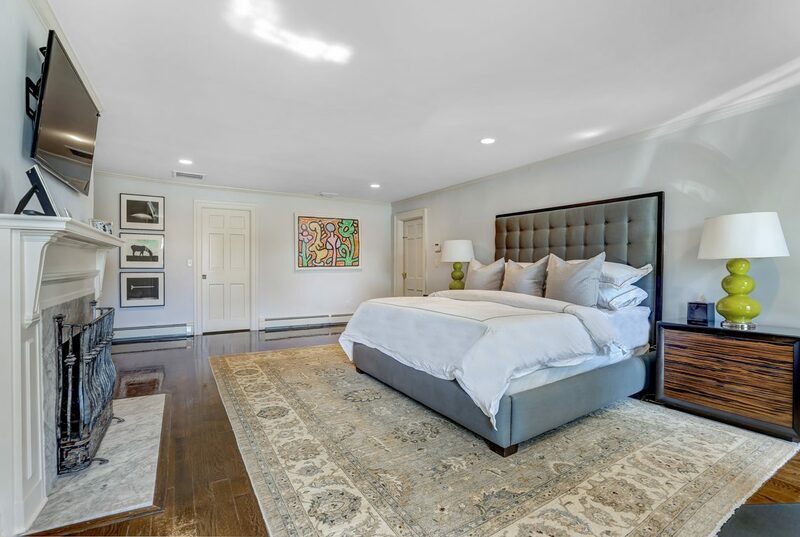 The luxurious master suite features a gas fireplace, massive walk-in closet, spa-like master bath with Victoria and Albert soaking tub, shower and radiant heated floor. 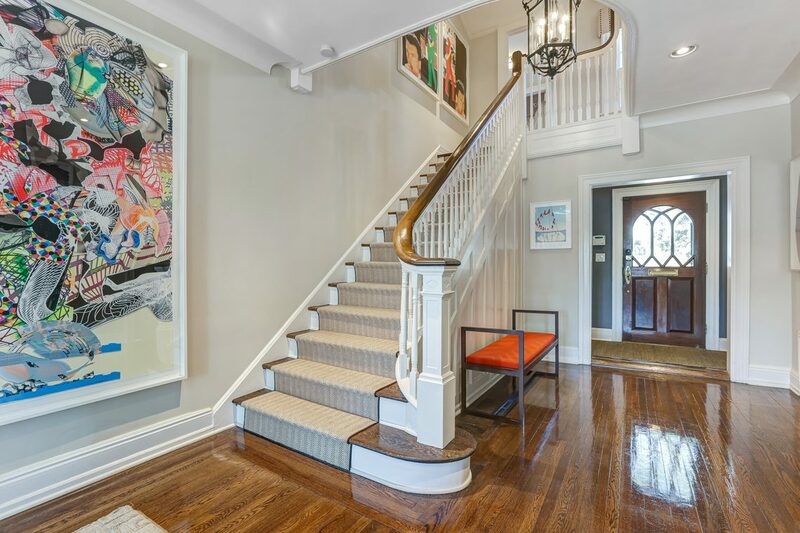 4 additional bedrooms and 2 more new baths and a laundry room complete the 2nd floor. On the 3rd floor, there are two more bedrooms that share a bath. 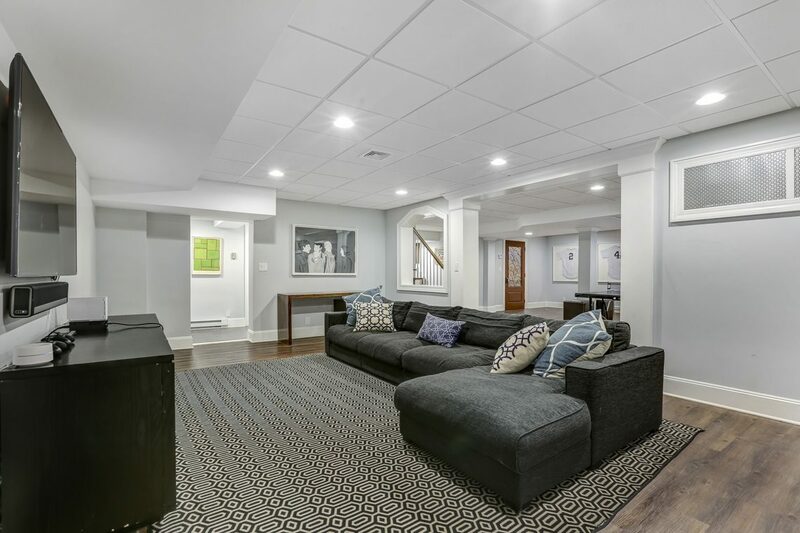 The beautifully finished lower level features a recreation room, media room, new wet bar, new temperature controlled wine cellar and new full bath. 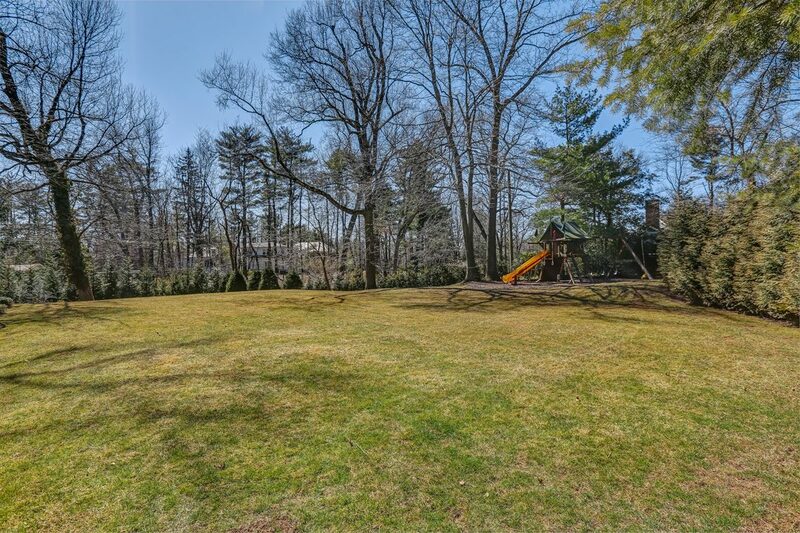 Ideally located on 1.2 stunning acres on one of the most prestigious streets in Short Hills, walking distance to both the Short Hills Train Station & top ranked Hartshorn Elementary School! 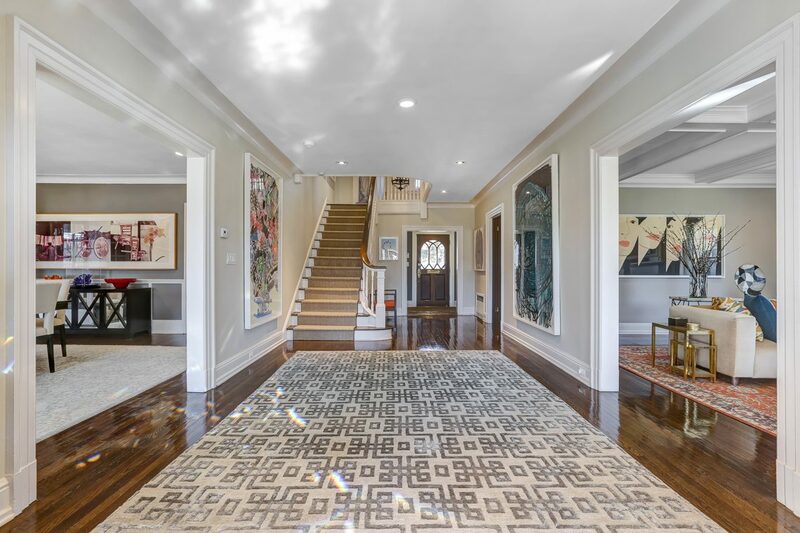 Grand Entrance Hall: Leaded glass surrounds double doors that open to grand front to back Entrance Hall with 2 lighting fixtures, recessed lights, hardwood floor. 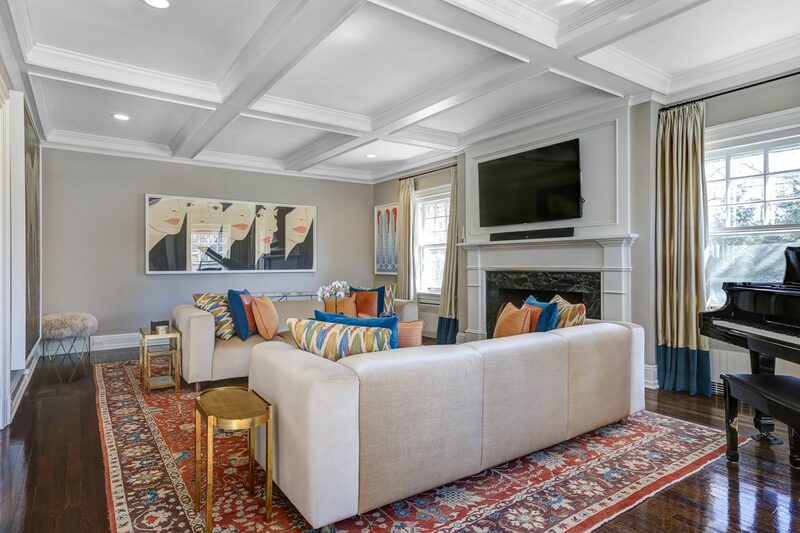 Living Room: with gas fireplace, four windows with custom windows treatments, coffered ceiling, custom bookcase with storage bench, coffered ceiling, wired for flat screen, recessed lighting. 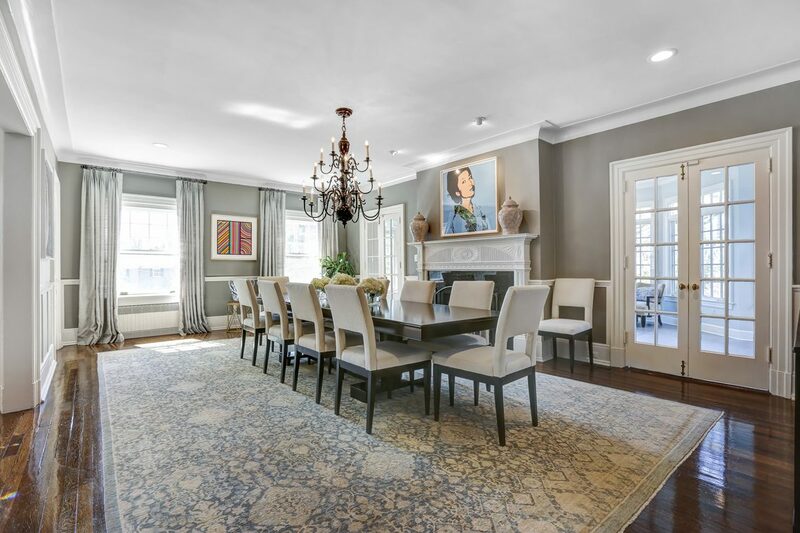 Dining Room: Gas fireplace, chandelier, recessed lighting & accent lighting, two windows with custom window treatments, hardwood floor, wet bar with glass shelves – storage beneath, chair rail. 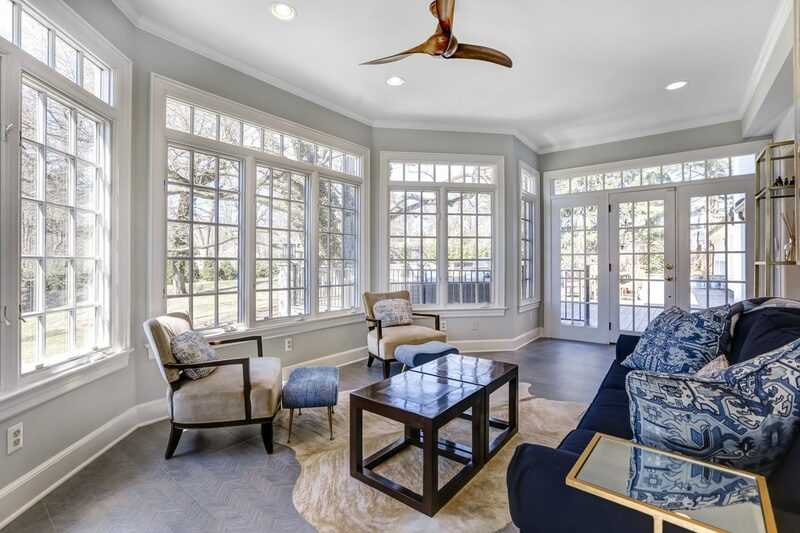 Two pair of French doors open to Sunroom: radiant heated tile floors, recessed lights, great natural light from three exposures, ceiling fan. 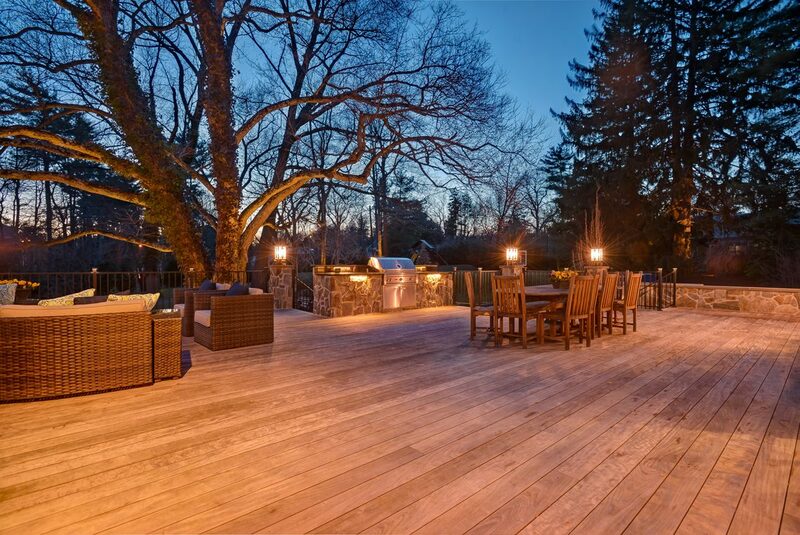 A French door opens to the new deck with a gorgeous Summer Kitchen with barbecue, granite countertops, stone walls, insect and animal resistant. 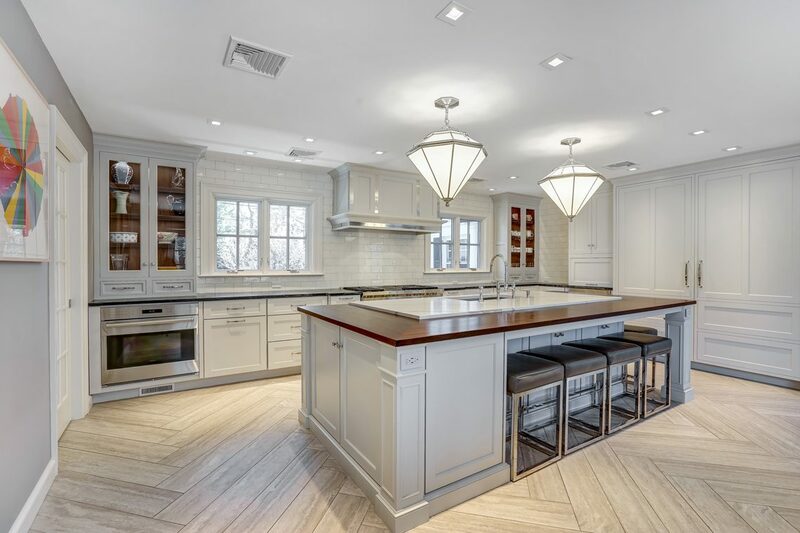 Butler Pantry’s: marble countertop, custom cabinetry with glass doors, Marvel wine refrigerator, three polished nickel lighting fixtures. New Powder Room: leaded glass with two polished nickel sconces flank mirror over sink set in marble vanity, Toto commode, marble floor. 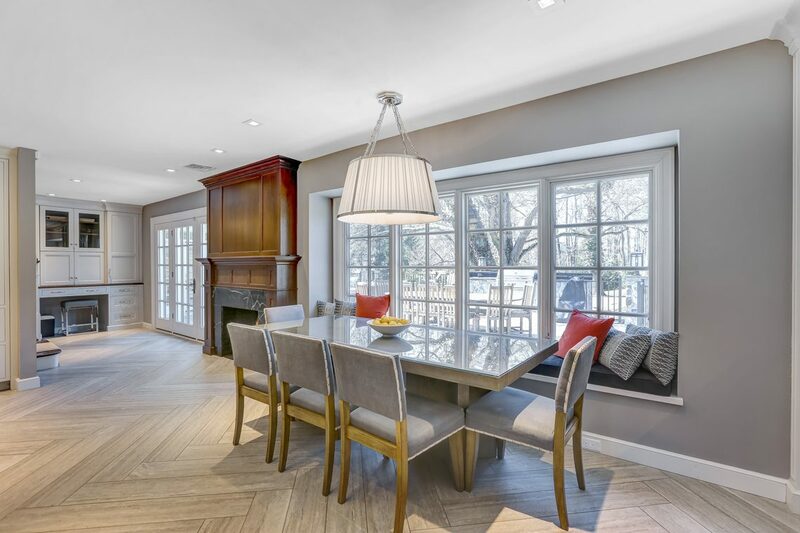 Gorgeous New Gourmet Eat In Kitchen (2018): radiant heated tile floor, gas fireplace, two lighting fixtures over huge center island that comfortable seats 6 people and features walnut & quartz countertops, 2 SubZero side by side refrigerators, GE microwave, custom cabinetry, upper glass doors with walnut backs, soapstone countertops, built-in desk, 2 Miele dishwashers, Six-burner Wolf range with griddle plus Wolf oven, second sink set in buffet serving area, stunning light fixture over huge eating area with window seat and custom cushions, back stairs to second floor, French door open to huge deck & stunning property. Mudroom: radiant heated tile floors, cubbies and custom window seat, additional closet, French door opens to deck & stunning property. 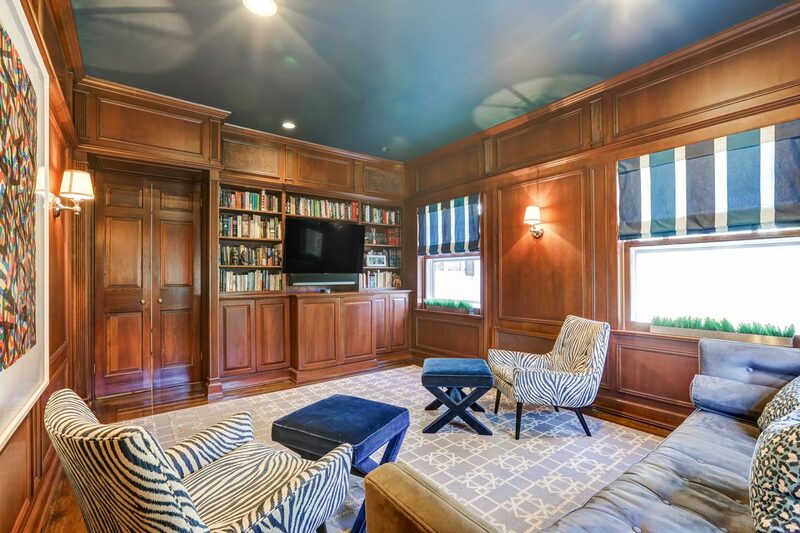 Library: custom cherry walls floor to ceiling, three windows with custom shades, wall of bookcases with storage beneath, wired for flat screen, recessed lighting, three sconces, hardwood floor. 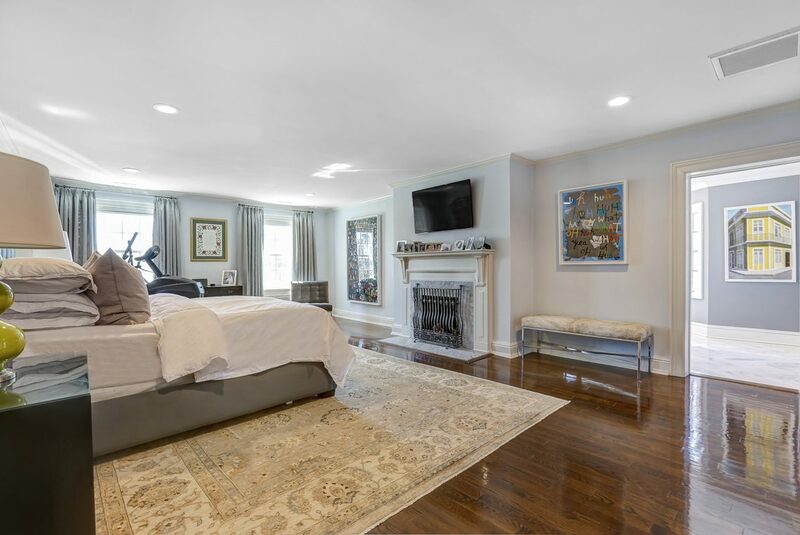 Luxurious Master Bedroom: gas fireplace with marble surround, two windows with custom window treatments, recessed lights, hardwood floor, pocket door opens to massive California walk-in closet and additional closet. Pocket door opens to new spa-like Master Bath (2017): radiant heated marble floor, 2 medicine chests flanked by two pairs of sconces over double sinks set in solid quartz over custom vanity, Victoria and Albert soaking tub, huge Rainforest shower, handheld sprayer, Toto Washlet in separate water closet, recessed lights and light fixture, 9 windows provide great natural light. Bedroom 2/Perfect In-law Suite (2018): hardwood floor, recessed lights, closet, three new Pella windows with wood blinds, walk in California closet, perfect In-law suite that has a separate door and is close to the backstairs. New Full Bath: shower stall, new Pella window with wood blinds, recessed light, Toto commode, built-in shelves, two sconces over mirror over Kohler sink. Bedroom 3: 2 windows with shades and window treatments, window seat with custom cushion, walk-in closet, hardwood floor. 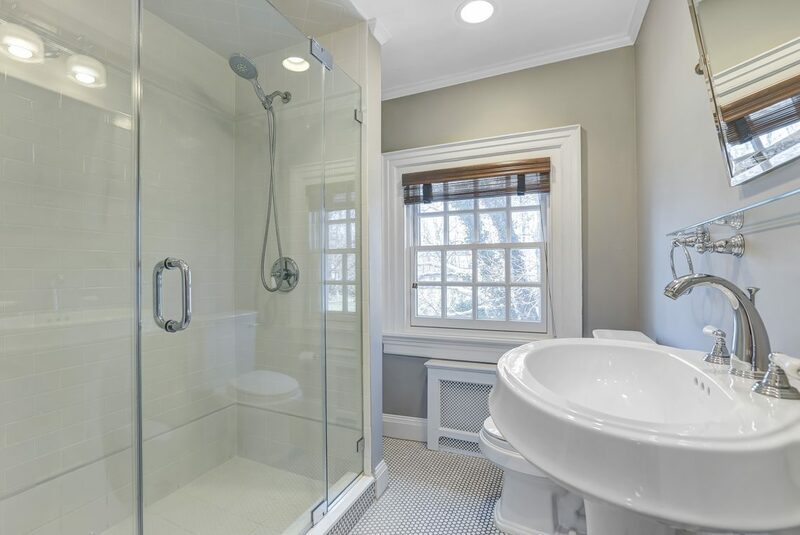 New Full Bath: shower over tub, window with blinds, mirror over double sinks set in marble countertop over custom vanity, marble floor, Toto Washlet, light fixture. 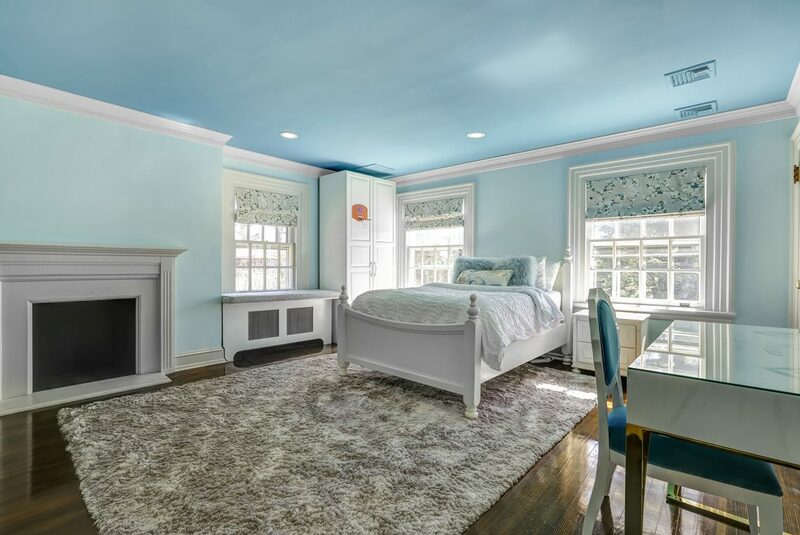 Bedroom 4: 2 windows with custom shades, window seat with custom cushion, fireplace mantel, large closet, recessed lights. 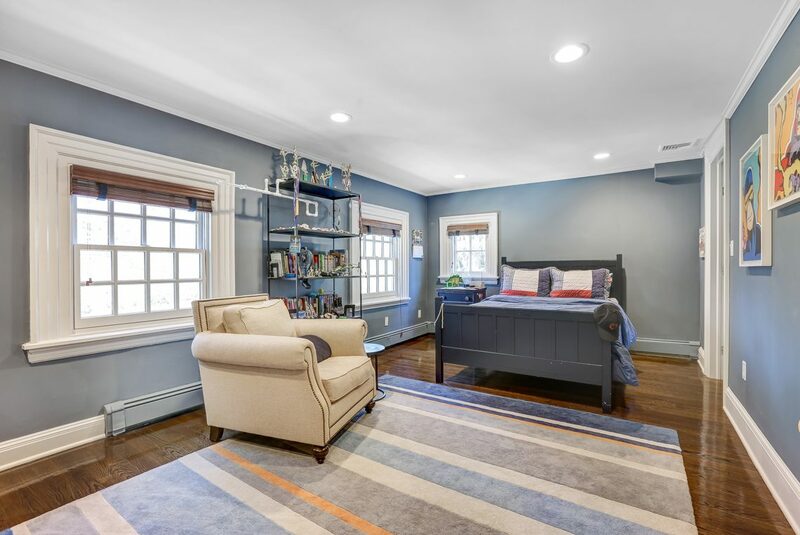 Bedroom 5/Office: hardwood floor, recessed lighting, one window with wood blinds, built in bookcase with drawers beneath, closet. New Laundry Room (2018): new Pella windows with wood blinds, LG washer and dryer, custom cabinetry, tile floor, sink with quartz countertop. Bedroom Six: recessed lighting, hardwood floor, 4 new windows with wood blinds, three recessed shelves, 2 closets. Bedroom 7: 3 new windows with wood blinds, recessed lights, hardwood floor. 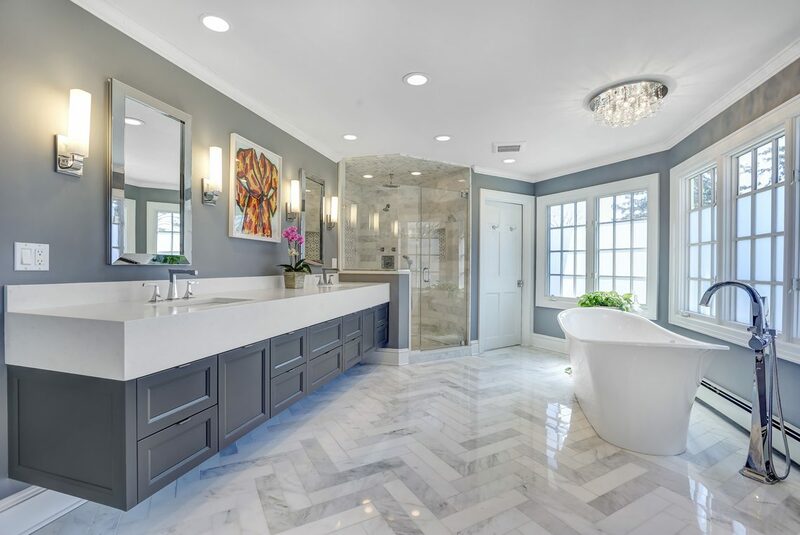 Full Bath: shower stall, tile floor, lighting fixture over mirror with sink set in Corian countertop over vanity, commode, Window, wainscoting on walls, walk-in cedar closet. 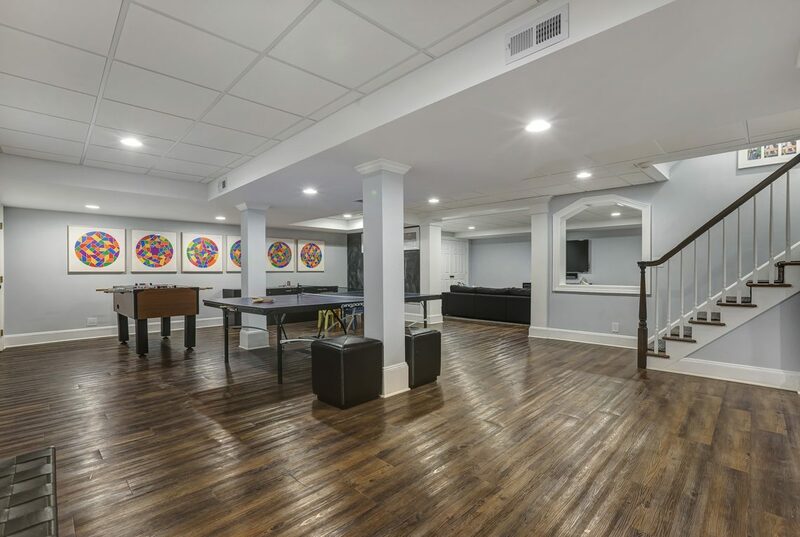 Huge Recreation Room: Pergo floor, recessed lights. Media Room: Pergo floor, recessed lights, wired for flat screen TV, two double closets with shelving. New Full Bath: shower with handheld sprayer, mirror over sink in quartz countertop, Toto commode. 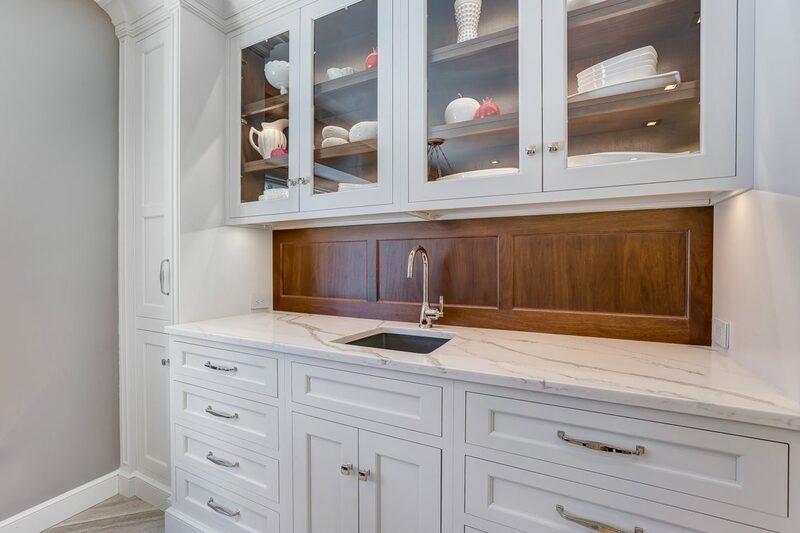 New Wet Bar: custom cabinetry, wine refrigerator, marble backsplash, marble countertop. 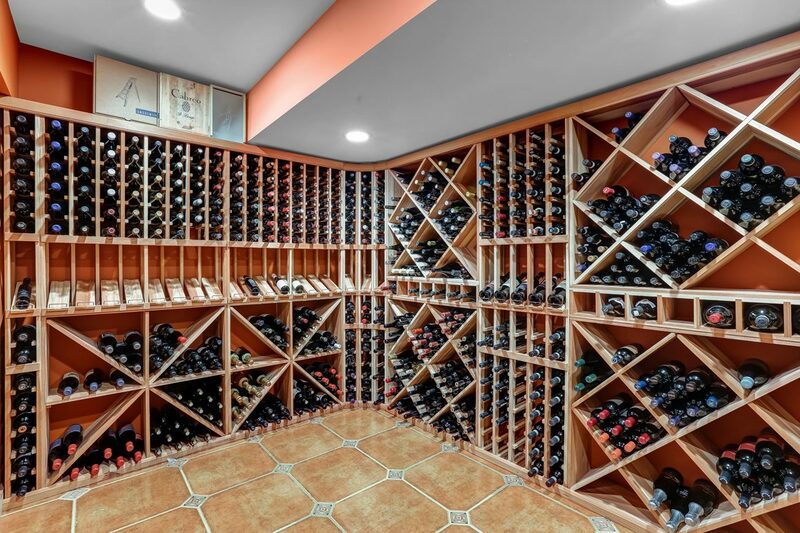 New Walk-In Temperature Controlled Wine Cellar: Extreme 5000 WhisperKool system, extra fridge.